If you are looking for phone answering solutions in Australia there are a range of suppliers that can help you handling incoming phone calls, making outbound phone calls or managing your social media and emails. With customer experience increasingly becoming the differentiator in a crowded marketplace, it’s never been more important to get the customer experience right. So what’s the best phone answering solution for your business? There are three main phone answering solutions types in Australia and below we’ve provided the pros and cons of each solution. But with hundreds of phone answering suppliers in Australia, finding and selecting the right one can be tough. You could spend hours searching on the internet or you can save time, money, risk and stress and try our free CX Connect service. Spend a few minutes telling us your requirements and then we’ll connect you to quality phone answering companies who have been screened and quality checked by us with a proven record of delivering similar services for other happy customers. 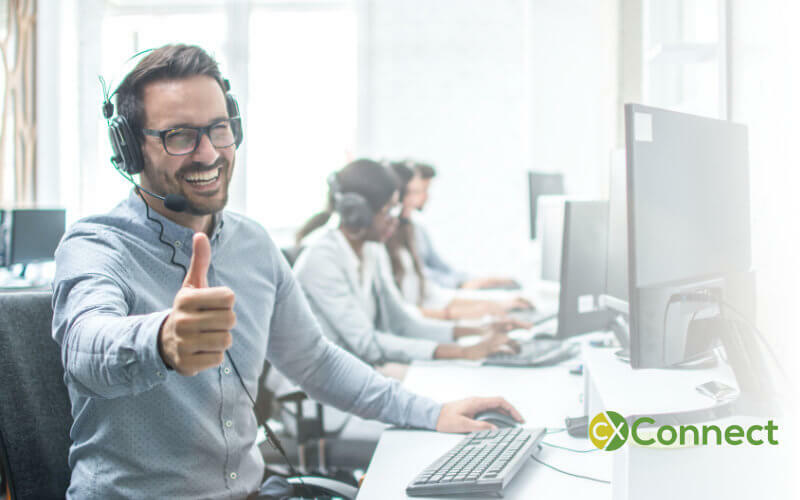 The call centre outsourcers or the more modern definition ‘contact centre outsourcers’ are typically large facilities that provide the latest call centre technology combined with high expertise in providing phone based and digital solutions. It’s not uncommon to find outsourcers that specialise in particular industry verticals (e.g. finance or insurance) or functions like inbound, telemarketing, technical support etc and they range in size from around 10 staff through to facilities with thousands of call centre agents. Being large facilities, most (but not all) contact centre outsourcers are more interested in the larger campaigns and ones that are relatively low in risk. If you only have small volumes or are looking for commission only models, most contact centre outsourcers are not that interested. High expertise with experts in workflows, automation, technology, recruitment, training and more. Engaging a Virtual Assitant can be a great way to have a customised solution for your business with an individual that is aligned with your business goals and values. Skills for Virtual Assistants vary greatly from phone-based experts at telemarketing, reception calls, appointment setting etc through to digital experts with Social Media, digital marketing and more. And if you’re really lucky, someone that has all of those skills rolled into one! For many small businesses, they just want to ensure the phone gets answered when a customer calls in. Typically the volumes aren’t attractive enough to interest the large contact centre outsourcers or their pricing makes it cost prohibitive. Thankfully that’s where the Phone Answering Providers come in! There are a range of different commercial models but typically the Phone Answering Providers offer set packages to answer your calls with live agents up to a certain amount of calls per day/week/month. For example, 30 calls answered for $X per month or $Y per month for 50 calls. Save time, risk, money and stress with CX Connect.